The original story of a charming mouse who did not want to be left behind is now available in a beautiful oversized padded board book format featuring Charles Santore’s award-winning illustrations. 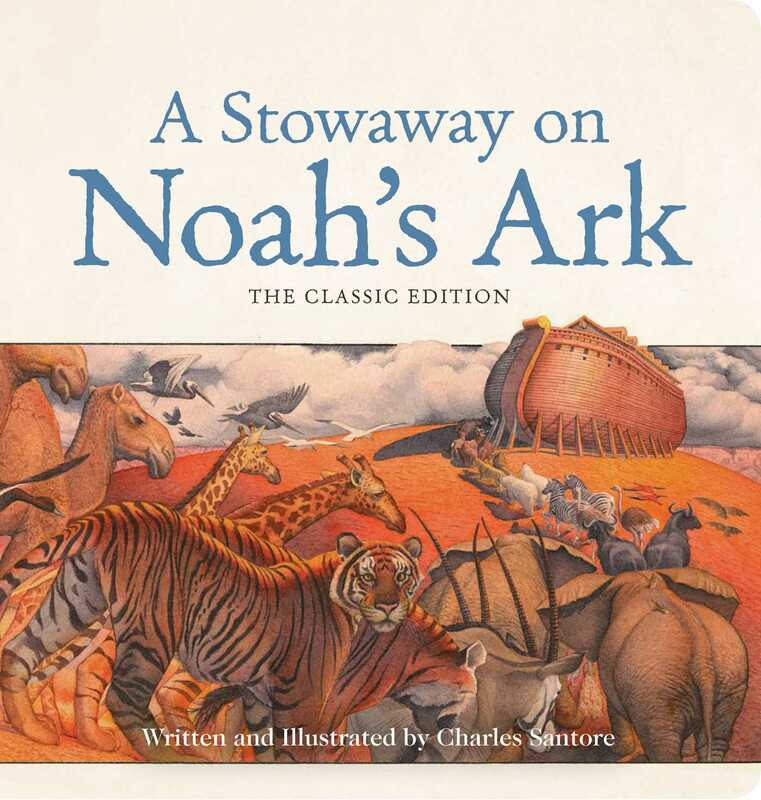 New York Times best-selling illustrator Charles Santore retells the beloved Bible story of Noah’s Ark through the eyes of a charming new hero that children will love: a stowaway mouse! Achbar the mouse hears a kindly old man tell the animals that there will be a great flood, and that he has built an ark big enough for two of each kind. By the time Achbar works his way through the tangle of paws and hooves, two other mice have already been selected. Achbar is terrified and does not want to be left behind! His survival instincts tell him to stow away. But will the old man discover him—and will they ever see dry land again?